A novel mathematical approach has uncovered that some animal cells have robust 12-hour cycles of genetic activity, in addition to circadian or 24-hour cycles. The method, published in the journal PLOS ONE, assessed the periodicity of gene expression data and compared the results with those obtained with other computational methods. As opposed to the other methods, this novel approach showed not only the existence of unsuspected biological cycles, but also that the 12-hour cycles work independently from the 24-hour cycles, which has been confirmed by laboratory experiments. These findings open a new area of study of how gene functions over time influence health and disease. "Circadian rhythms are physical, mental and behavioral changes that follow a 24-hour cycle driven by environmental light and darkness. One of the best known circadian cycles is sleeping at night and being awake during the day," said corresponding author Dr. Clifford C. Dacso, professor of molecular and cellular biology and member of the Dan L Duncan Comprehensive Cancer Center at Baylor College of Medicine. "These biological rhythms reflect complex interactions at the molecular level that occur among the paths mediating the expression of genes into active proteins carrying functions in the cell." There is evidence, however, that other biological cycles exist in addition to 24-hour rhythms. Blood pressure, body temperature, cognitive performance, some circulating hormones, reaction to stress and responses to drug therapy, for instance, appear to follow a 12-hour rhythm, but little is known about the biological basis of it. Dacso and his colleagues set out to find out answers. "We decided that we needed to apply an unbiased mathematical approach different from those other groups were using," Dacso said. He contacted colleagues at the Department of Electrical and Computer Engineering at Rice University and they referred him to Dr. Athanasios Antoulas, a professor in that department who also is a fellow at the Max-Planck Society in Germany. Antoulas is a mathematician and an engineer with expertise in processing digital signals such as electronic waves. He had developed a new mathematical tool called the matrix pencil method that allowed him to uncover frequencies from very noisy digital data. "Other mathematical methods approached this type of problem by asking, does a specific wave form exist in the data? They were already biased to find a particular type of wave," said Antoulas, who is the first author of the paper as well as adjunct professor of molecular and cellular biology at Baylor. "On the other hand, the method that we proposed asked an unbiased question; what type of wave is present in the data, if any?" The researchers applied the mathematical method Antoulas used to analyze electronic digital signals to analyze a biological phenomenon, specifically gene expression data that had been collected every hour for 36 hours. The researchers analyzed more than 18,000 mouse liver genes involved in a variety of cellular processes, including metabolism, cell stress, cell cycle and cellular respiration. "Our method revealed the fundamental cycles present in each data set collected for each gene," Antoulas said. "We confirmed the 24-hour circadian cycles and uncovered genes whose expression over time followed a 12-hour cycle that was not evident when using other computational methods." "We took a closer look at the 12- and 24-hour cycles," Dacso said. "The matrix pencil method revealed that these cycles were independent, and this has been confirmed by laboratory experiments showing that knocking down genes that follow a 24-hour cycle does not affect the expression pattern of the 12-hour genes." "By looking at the function of genes over time, as opposed to looking at a single moment, we have uncovered that fundamental cell functions, such as inflammation, stress response, protein quality control and energy supply, follow certain cycles," Dacso said. "This finding has enormous implications for redefining aspects of human health as controlled by genes." 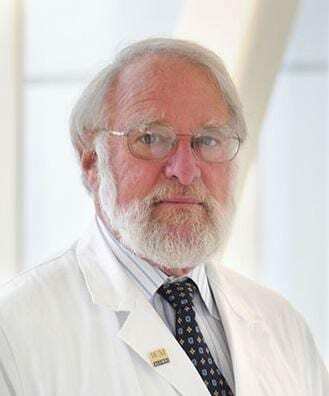 "We and others have shown that disturbing the 24-hour clocks may lead to diseases of metabolism," said co-author Dr. Bert O'Malley, chancellor and professor of molecular and cellular biology and Thomas C. Thompson Chair in Cell Biology at Baylor College of Medicine. "For instance, experimental evidence shows that night-shift workers who periodically change their night and day shifts or people who travel overseas often alter their sleep cycles, and this seems to make them prone to gain weight and develop diabetes and other alterations of metabolism that may lead to disease. It's not a good idea to disturb the circadian rhythm on a regular basis. We anticipate that disturbing the other cycles may also affect health and disease." Other contributors to this work include Bokai Zhu, Qiang Zhang and Brian York. The authors are affiliated with one or more of the following institutions: Baylor College of Medicine, Rice University and the Max-Planck Institute for the Dynamics of Complex Technical Systems, Germany. Financial support for this project was provided by the National Institutes of Health (NIDDK), the National Science Foundation, the American Diabetes Association, Kay and Rene Joyce Foundation and the German Science Foundation. Additional support was provided by the Max-Planck Institut fu?r Dynamik Komplexer Technischer Systeme, Center for the Advancement of Science in Space, Brockman Medical Research Foundation, Phillip J. Carroll, Jr Professorship, Joyce Family Foundation, Sonya and William Carpenter and Peter J. Fluor Family Fund.